Does your engine run hotter than normal just after starting?. Does the temperature slowly creep higher and higher as you drive down the road? Do you detect an odour that’s a little like boiling maple syrup or see green or orange fluid pooling beneath your vehicle? This is a sign of a leak and it’s time to get a radiator flush and fill service. When you drive, the parts within your engine are creating some serious friction and that friction generates heat. Engines run efficiently when warmed, and the temperature is maintained by the engine cooling parts. The radiator cooling fans, water pump, thermostat, coolant, pressure, overflow tank reservoir and other miscellaneous parts. A radiator flush and fill is a basic maintenance for your cooling system and will help maintain maximum performance from your car’s heating and cooling system. 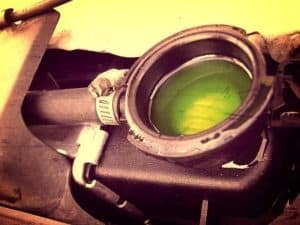 A properly functioning cooling system circulates antifreeze/coolant through the engine and radiator helping reduce heat levels produced by your and vehicle’s engine when your vehicle’s cooling system isn’t functioning properly the temperature of your engine can get hot enough to damage itself. Heads can warp. 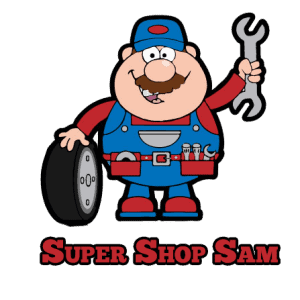 Gaskets can blow your engine can fail, and all of this can be costly repairs. Having your radiator inspected and keeping antifreeze/coolant fluids topped off can save you a lot of money and time spent on the side of the road. Also, since the heating system works out the same coolant that circulates throughout your engine performing a coolant flush and fill will also prevent overheating, the most common cause of breakdowns and internal engine damage. Check your car’s owner manual to see the recommended interval for changing your antifreeze in flushing your coolant system. New antifreeze will help your car’s engine run cooler and flushing. It will remove any dirt, rust or sediment which may damage the water pump and clog the engine water jacket and radiator. If you’re a do-it-yourself, be sure to always follow the instructions for maintenance listed in your owner’s manual. Make sure of to dispose of used antifreeze in according to your local laws and regulations. Use a closed container to store and never let used antifreeze drain onto the ground or into storm drain. Remember antifreeze is toxic. Keep it away from children and animals! 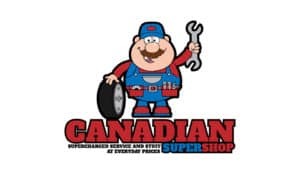 Finally, if you are unable to work in your car or you simply don’t have time to do it yourself bring it to Canadian super shop and keep in mind, our trained technicians will drain the fluid clean the system with coolant cleaner and use water to remove the remaining coolant after cleaning the system. The mechanic will fill it up with new coolant. This process is effective, and an approved industry method of flushing your vehicle’s cooling system. Bring the car to operating temperature.